A ladybug landed on the side of the house near the picture window in early November. 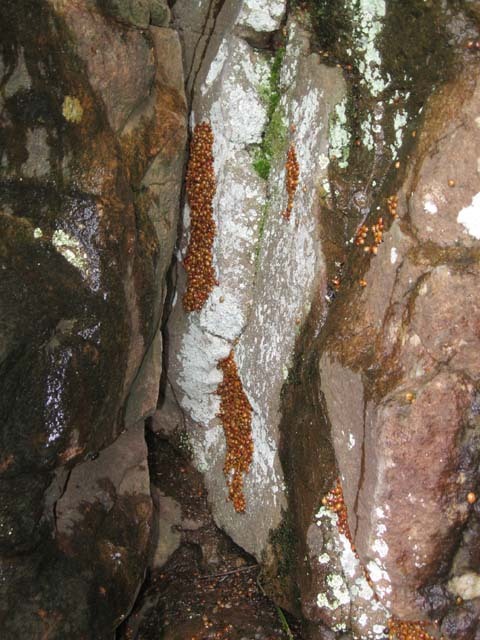 It reminded me of swarms of ladybugs I found one fall while hiking along a sandstone bluff. 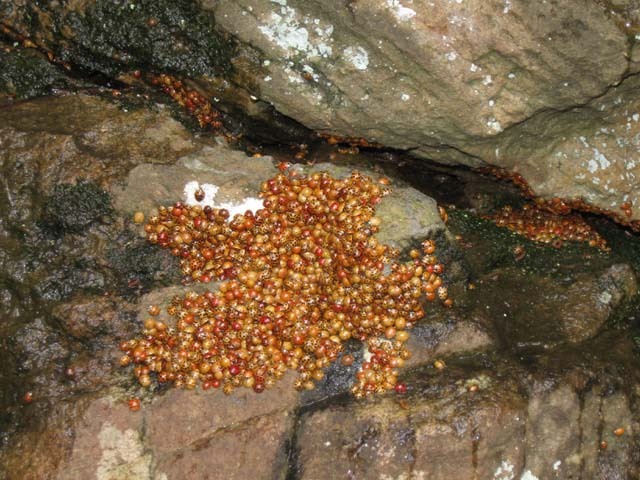 They had swarmed where they planned to hibernate for the winter. These were at the mouth of a deep crevice that went way back into the sandstone. This is the same “pile”of them as in the first picture. They were everywhere. Their body temperature remains the same as their surroundings. They are known to congregate in swarms in houses too. I learned, when they used to get in my camper, that they don’t smell the best and that their tiny bite hurts. 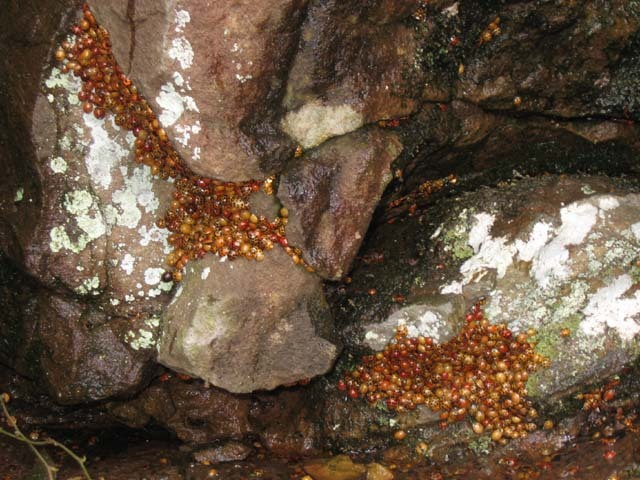 They will also gather in clusters under the bark and in crevices of trees. 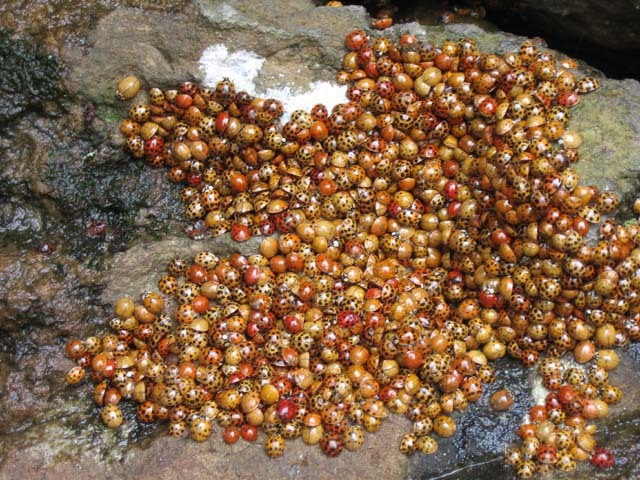 Ladybugs are beetles, with over 5,000 species worldwide!